Founded Bucharest 1923 to develop aircraft designed by Grigore C Zamfirescu for Divisia l-a Aeriana. Designs included S.E.T. 7 biplane trainer, S.E.T. 7K reconnaissance variant, S.E.T. 10 biplane advanced trainer, S.E.T. XV biplane fighter; also made Fleet 10G trainers. LAR 14 CV-11 12 13 14 15 16 37, 38, 39 80 81 813 818 822 823 IAR 99 "Soim"
Current name (since 1991) for reequipped IAR works at Brasov, created from ICA Brasov and with lineage also in URMV-3, Sovromtractor, and Regia Autonoma Industria Aeronautica Romana (q.v. all). Has built Aerospatiale Alouette helicopter as IAR 316B (280), Russian Ka-126 helicopter, and French Puma helicopter (as IAR 330L Puma) under license, with Puma 2000 upgraded IAR 330L model currently offered with more engine power, Hellfire antiarmor missiles and advanced avionics among changes. Has agreement with Eurocopter to construct up to 80 AS 350BA and AS 355N helicopters. Made agreement with Bell Helicopter Textron of U.S.A. to license build 96 AH- 1W SuperCobra attack helicopters for the Romanian armed forces as AH-1RO Draculas, with Bell taking a majority shareholding in the privatizing company as part of the agreement. Kraiova works to license-manufacture Russian Beriev Be-32K. Own products include IAR 46 two-seat lightplane (first flown 1993), IAR-35 glider, and IS-28 series of gliders/motorgliders. 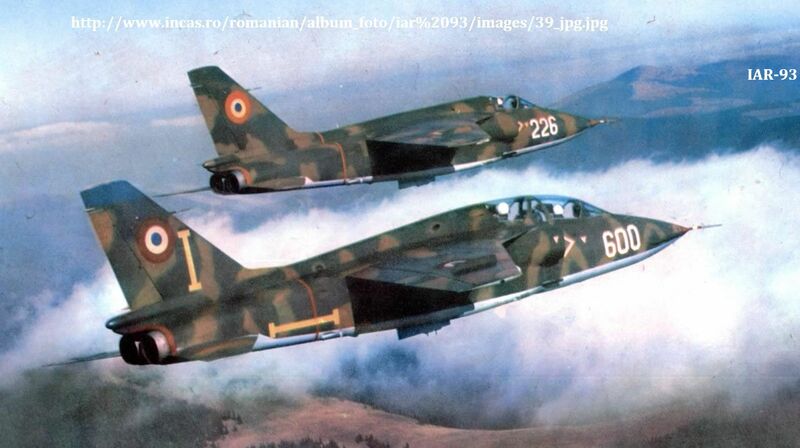 (IAR) (+ wiki) (now IAR S.A. Brasov) is a Romanian aerospace manufacturer founded in 1925. Based in Ghimbav, near Braşov, Romania, the company employs around 1200 specialists including more than 170 engineers. It carries out upgrades, revisions, and overhauls on helicopters and light aircraft. In order to ensure that the Royal Romanian Air Force (the 'Aeronautica Regală Română, or ARR) could continue to be supplied with aircraft in time of war, the government subsidized the creation of three major aircraft manufacturers in the 1920s and 1930s. The first was Societatea pentru Exploatări Tehnice (SET) which was formed in Bucharest in 1923. Next came IAR, which set up shop in Braşov in 1925. Finally there was Întreprinderea de Construcţii Aeronautice Româneşti (ICAR), which was founded in Bucharest in 1932. One of the engineers designing IAR aircraft in the early 1930s was Elie Carafoli. During World War II the IAR 80 and IAR 81 fighter aircraft were designed and produced at IAR facilities. Today IAR is the sole Romanian manufacturer of helicopters for both military and commercial customers. Since 1968, IAR has produced more than 370 helicopters (IAR 316 and IAR 330), 830 gliders, including motor gliders, and 140 aircraft. INTREPRINDEREA DE CONSTRUCTII AERONAUTICE ==> above ICA. INTREPRINDEREA DE REPARAT MATERIAL AERONAUTICE ==> below IRMA. Intreprinderea de Reparat Material Aeronautice was the Bucharest unit of the Centrala Industrial Aeronautica Romana (q.v. ), formed by reorganization of the national aircraft industry in 1968. Specialised in the repair and overhaul of aircraft and engines for Tarom and other airlines, and manufactured under license the Britten-Norman BN-2A Islander. Became lAv Bucuresti (q.v.). With a lineage that can be traced to 1920 (via companies including IRMA and lAv Bucuresti), this company assembled from British-supplied kits nine BAC One-Eleven airliners as 1 -11 s, the first appearing in 1982. Current work, in 1999, includes the manufacture of Britten-Norman BN2 Islanders (some 500 produced over 30 years) and the production of subassembles for Boeing and Galaxy Aerospace. In January 1999 Britten-Norman of the U.K. received approval from the Board of Directors of Romania's State Ownership Fund for its tender offer to acquire Romaero? New name from 1991 for lAv Craiova (q.v.). Work on IAR- 93 stopped. IAR 99 Soim (first flown 1985) and improved IAR109 Swift jet trainers, lead-in fighter trainers and light attack aircraft superseded by New IAR 99 Soim that first flew in May 1997. Established at Bucharest 1923. SET X was single-seat fighter/trainer biplane; SET XV single-seat fighter biplane with enclosed cockpit, built in small numbers for Romanian Air Force during early 1930s; SET 7 was a specially equipped trainer; SET 7K a reengined observation derivative ordered in series by Romanian Government. Later SET 31 also adopted officially. Name for lAR/Regia (q.v. both) from 1946 while under Soviet occupation. Brasov works (known as URMV-3 Brasov between 1950 and 1959; q.v.) demilitarized and put under joint Soviet/Romanian management, mainly for production of agricultural equipment. Aircraft development at Brasov by mid-1956 included IAR 811 piston trainer (first flown 1949), IAR 813 two-seat lightplane, IAR 814 twin-engined transport of 1953 and IAR 817 single-engined general-purpose light transport of 1955. Aircraft from LFIL factory at Reghin included RG-6 tandem two-seat sports and training monoplane. for pre 1950 set-up of former lAR/Regia under Soviet occupation. Further products under URMV- 3 title included the IAR 821 single-seat agricultural/utility aircraft, and the IAR 823 STOL utility transport. See also IAR and IAR-SA Brasov. Henri Coandă Avec l'appui de l'ingénieur Gustave Eiffel et du savant Paul Painlevé, qui l'ont aidé à obtenir les autorisations nécessaires, Henri Marie Coandă a fait des expériences aérodynamiques préliminaires et a construit, dans l'atelier de carrosserie de Joachim Caproni, le premier avion à propulsion réactive, en fait un avion à réaction, nommé conventionnellement Coandă-1910. 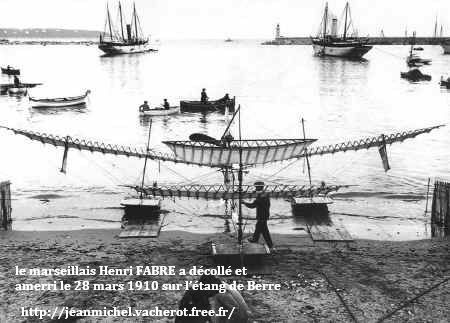 Il a présenté, en octobre 1910, au deuxième Salon international de l'aéronautique et de l'espace de Paris-Le Bourget, un monoplan révolutionnaire mû par un moteur sans hélice utilisant le principe des futurs moteurs à réaction (Coandă-1910). Lors du premier essai de vol, à l'aéroport d'Issy-les-Moulineaux, près de Paris, de longues flammes sortaient de la tuyère d'échappement et l'avion s'est écrasé contre un mur, après avoir éjecté son pilote. Henri Coandă s'en est tiré avec quelques brûlures et contusions mineures. Très site tenu par Maksim Starostin in Estonia.